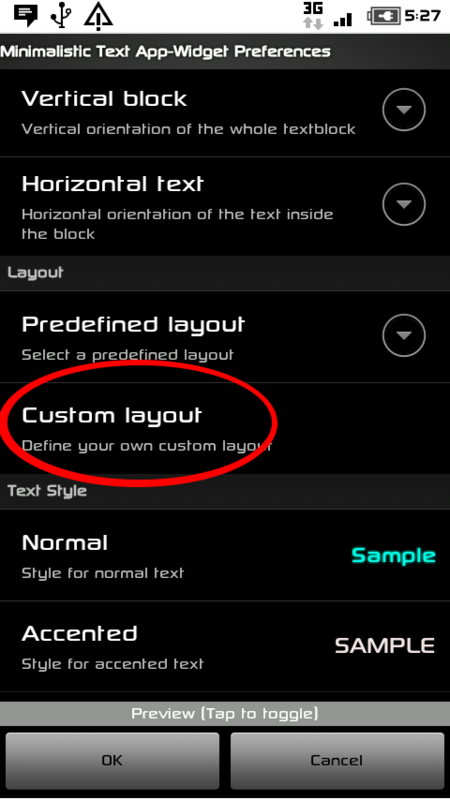 The ability to modify the text that is used on your homescreen isn’t an option that most smartphones are usually known for providing. And as usual, the clever innovators have recognized this and come up with a nifty little Android app to help facilitate this customization feature. 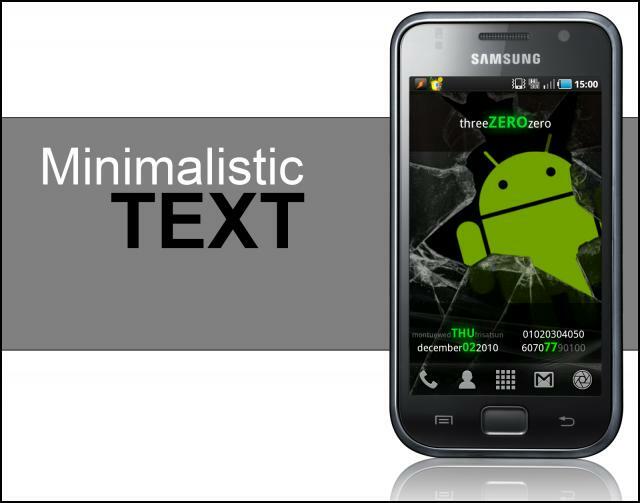 The Android app we are referring to is known as the Minimalistic Text app. It allows one to manipulate widgets in the homescreen itself. The texts that it incorporates displays a number of useful details such as the date, time which is standard, and additionally weather, battery and a custom option is you choose to have one. Minimalistic Text is a free app, which is extremely customizable and flexible in functionality. You can simply modify homescreen text without too many complicated steps and make your own slick and minimalistic date-telling clock widget. The design is simple and thus, the clock looks great. It can be customized with a number of options so that the homescreen looks funky while the clock lends to functionality. One of the greatest features of an Android phone is its amazing open source design and freedom to customize with ease and to any extent you intend to customize it to. This experience is brought one step further with the features of Minimalistic Text, which is highly versatile to say the least. The Minimalistic Text app can be a bit complicated to handle, especially considering the massive variety of options it offers you. However, to make it simpler for the beginners, there are a number of pre-defined profiled that are provided within the app. These features include your profiles having the usual date, battery, time and weather details. Each profile displays the data in a unique and attractive way. Backgrounds can be personalized with different colours or other graphics. Fonts can be adjusted and different font types can be used to suit your style personality. 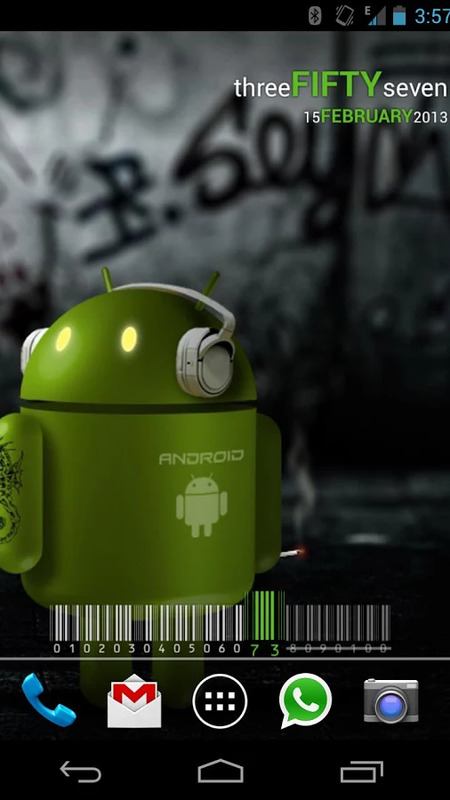 Hence, you can use this app to make your Android phone say a lot more about who you are. Weather allows you to choose a source of information based on your personal preferences and then suitably adjust whether you want to view the temperature in Celsius or Fahrenheit. The weather option is however only available in the pro version which is a paid version. Since the Minimalistic Text app allows you to assign widgets, it provides a variety of size options to choose from. There’s everything ranging from 1×1 to the much larger 6×1. The sizes are so designed that the widget is sometimes vertical and sometimes horizontal. The app supports a number of languages besides English and the battery in the app can be displayed in various styles including a barcode. Minimalistic Text offers a number of add-ons. One that seems to be popular and making the rounds is an add-on that allows you to place a call from the widget itself instead of having to navigate to another page. The Call add-on allows you to call people without having to open your contacts and phone icon. Text details on the app have a slight glow to them that makes readability of the widget great. It works thus well against both light and dark backgrounds. The text font size is also appreciably large so these details can be seen at a glance without having to focus too closely on them. Battery can be changed into a funky barcode at the bottom of the screen. Visually, the Minimalistic Text app makes your homescreen look very appeasing and easy to navigate without the conventional clutter eating up your device RAM.